Established in 1995, Gastroenterology Associates of Orangeburg has been the leading provider of consultative Gastroenterology, Digestive Endoscopy, and Hepatology services to Orangeburg and surrounding counties. We strive to provide the highest quality of care at the most affordable price. 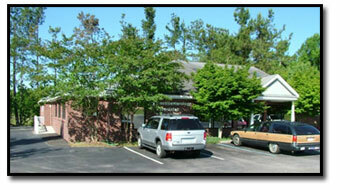 Our office features a fully accredited, modern, well-equipped office endoscopy center. We are now able to pass on to our patients the benefits of high efficiency, total quality management, and cost control. Issues in focus: Increasing incidence of colon cancer in youngsters. Bring all your medications with you. Please fill the appropriate forms ahead of your visit. It may seem difficult, but this is done just once and could be updated anytime. In a serious emergency when access to paper records may be impossible, a digital medical record could save your life and prevent needless procedures. Keep a list of contact phone numbers before you come in for procedures. Have an E.mail address handy. You are strongly advised to carry your PERSONAL HEALTH RECORD in a digital format. Please bring a USB flash drive. We will provide your current, FREE Secure Digital Medical Record.